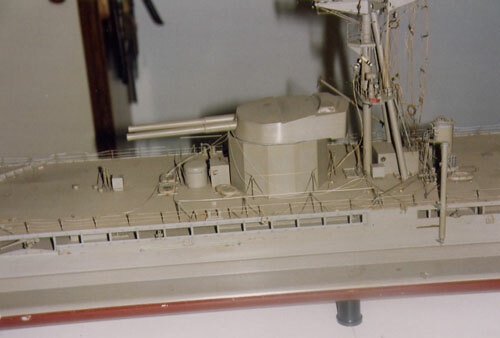 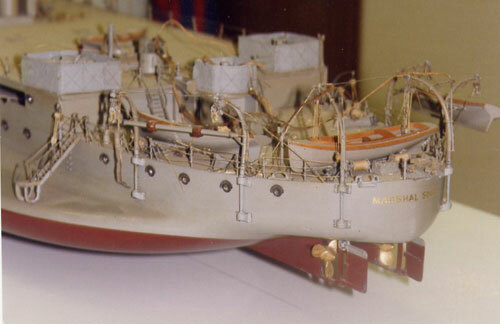 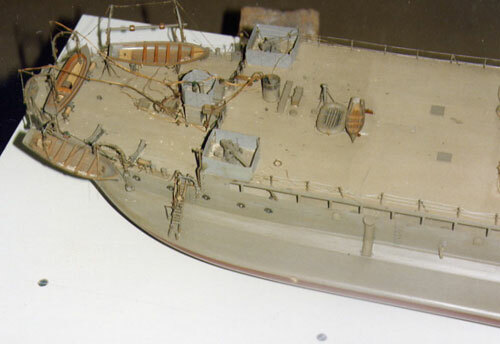 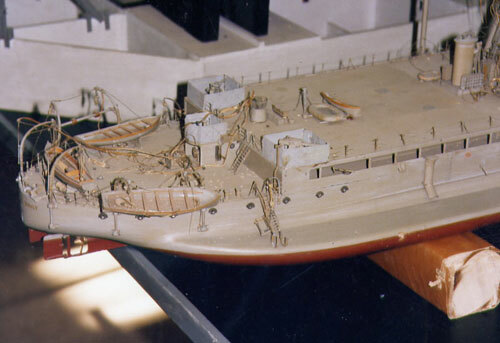 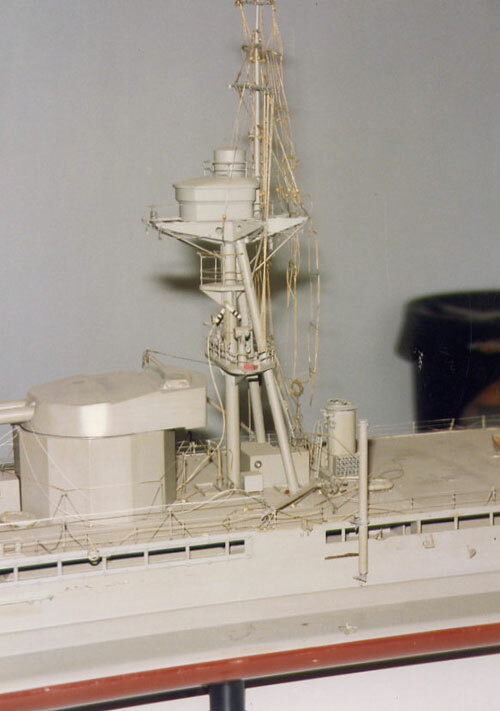 This is the IWM's model of MARSHAL SOULT, a monitor 1915 at the scale of 1/96. 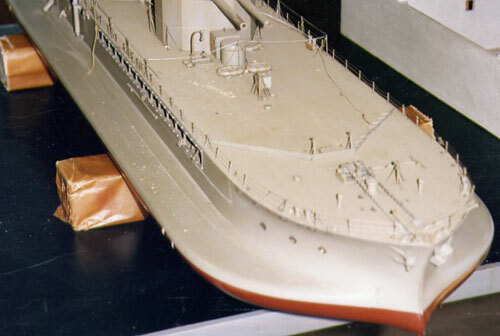 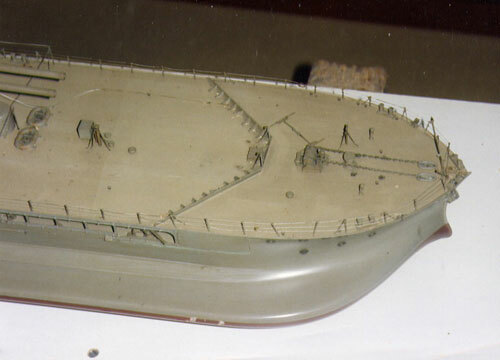 The actual ship was 355ft long and the model was 3.7ft long. 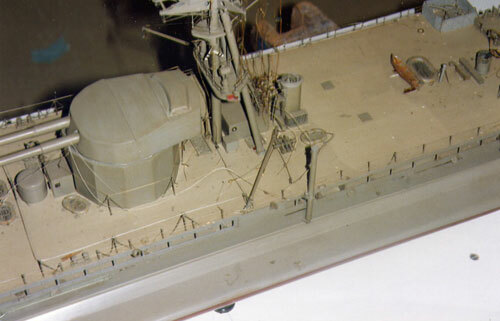 The photos below are before restoration. 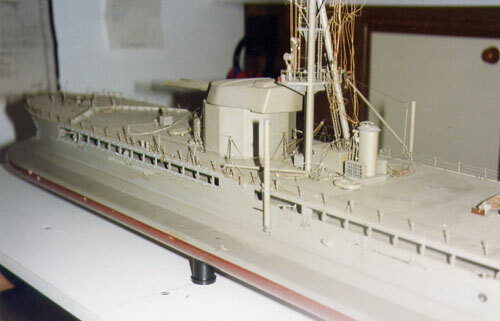 There are no surviving pics of after restoration since I carried out this work in 1991.